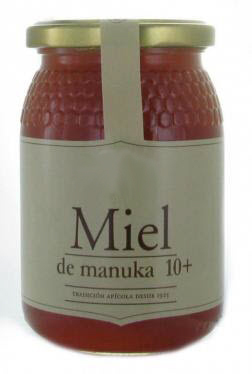 Manuka Honey is produced from the flowers of two New Zealand plants. These are the Manuka and Kanuka trees but are generally referred to as ′Manuka Trees′. These are the New Zealand version of the Tea Tree. 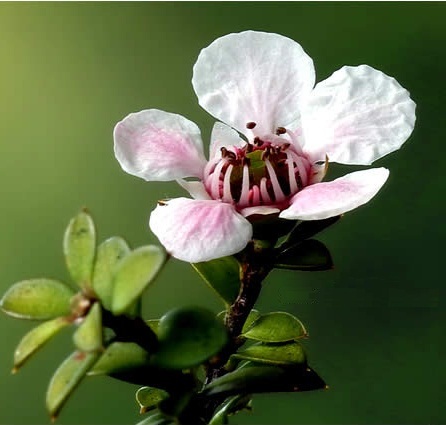 Both the Manuka and Kanuka plants have historically been used by Maori and early European settlers for medicinal purposes. This use includes using the bark as a poultice, for colds, for flu, and stomach aches. Conductivity is an indirect measurement of the mineral content of a honey. Most flower honeys have low mineral content and a low conductivity. Manuka however has a high conductivity which averages 5.8 ± 1.54 SD. Honey has been known for its healing properties for thousands of years - the Ancient Greeks used it, and so have many other peoples through the ages. Even up to the second world war, honey was being used for its antibacterial properties in treating wounds.But with the advent of penicillin and other antibiotic drugs in the twentieth century, honey′s medicinal qualities have taken a back seat. But that might be about to change - thanks to one New Zealand based researcher. Working in his Honey Research Unit at the University of Waikato Professor Molan has shown that honey made from the flowers of the manuka bush, a native of New Zealand, has antibacterial properties over and above those of other honeys. Cancer specialist Dr Glenys Round has also found honey to be an effective treatment. ″We′ve been using honey to treat fungating wounds, where the cancer has broken through the skin,″ she said. Laboratory tests have shown the UMF antibacterial property present in UMF Manuka Honey inhibits the growth of the bacteria helicobacter pylori. This bacteria is believed to cause most stomach ulcers, dyspepsia and peptic ulcers. The peroxide antibacterial activity of other honeys (including ordinary manuka honey) was found not to be effective against helicobacter pylori. Studies are also showing that the good bacteria in the stomach are not affected by the UMF property. Try having a teaspoon to a tablespoon of the honey three to four times a day, ideally one hour before meals and again at bedtime. Try to have nothing to drink immediately after having the honey so as not to dilute the honey. Having the honey on bread, toast or cracker biscuit holds the honey in the stomach for as long as possible. Many people have experienced good results if they have the honey straight from the teaspoon. It is pure honey so it does not interfere with regular medications. Adjust the amount and frequency to suit your own needs. Most people have a generous amount of the honey initially, then reduce it as they feel warranted. 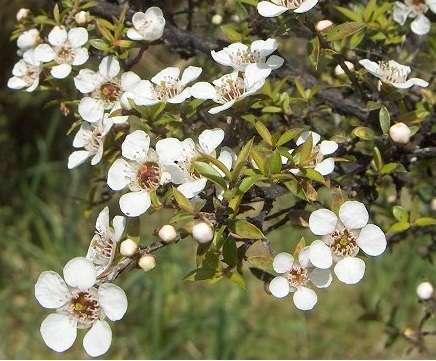 Among the health properties of the manuka tree is its antibacterial property. People have been using it for years as mouthwash due to its antibacterial remedies. This natural antifungal property is carried over into the honey that is made from this plant and so in addition to tasting good and having the already natural antibacterial property of honey, there is double protection. This honey can be used as a condiment on food because of its sweet taste, and it can also be used to dress wounds. It prevents the rapid spread of germs and fungal colonization, therefore protecting a wound from becoming worse and enhancing natural healing. For someone who has never had to personally dress a wound, the idea of using honey as an antiseptic may sound strange, but the method of using honey to cover a wound has been in practice for thousands of years. Long ago,people used honey to protect their wounds from germs; it was especially helpful if a person was out in the wilderness and could not get immediate medical assistance. Even in recent times such as the First World War, it was used as a germ deterrent and it made it easy to remove bandages because it did not stick to them. For teenagers who suffer from acne, in the morning when you wakeup, wash your face and dry it, then apply a thin layer of manuka honey and allow it to work its magic; 20 minutes should be enough for each session. To treat abrasions and minor cuts on the skin you can follow the normal procedure for cleaning and sterilizing wounds, and then apply a thin layer of the honey on the affected area. If you happen to get some insect bites, the same process applies. 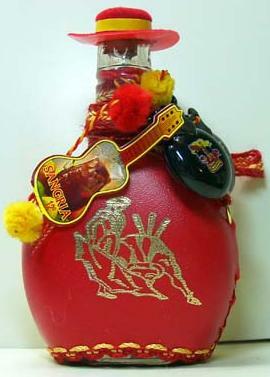 If you apply it on the skin two or three times a day, you should heal rapidly. Since 1991 it has been recognised that not all honey is effective in its non-peroxide anti-bacterial action and in its promotion of healing - in fact the variability between different batches of honey can be as much as 100-fold. In 1996 an organisation called TradeNZ, in conjunction with the Honey Research Unit, set about to establish a standard for the classification of antibacterial honey activity. This led to the creation of the UMF® industry standard - UMF standing for Unique Manuka Factor. The Honey Research Unit developed a procedure for rating honeys which has now been in place for some time. Tested batches of Manuka Honey are given a UMF® rating, depending on their tested antibacterial activity. A UMF® rating of 10 is the minimum activity to gain the UMF rating and thus be considered useful in serious applications. Honey achieving this rating is commonly referred to as Active Manuka Honey, although manuka honey is often marketed as being ′active′ even though it is not. While Manuka honey is fairly widely available, it is considered that only that which carries the UMF® registered trademark should be chosen if the intended use is for therapeutic purposes, and the majority of recent medical trial have predominantly used manuka honey with a UMF strength of 10 or more. 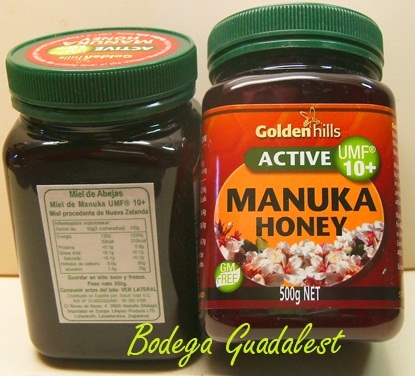 The Active Manuka Honey that you can order at this web site.